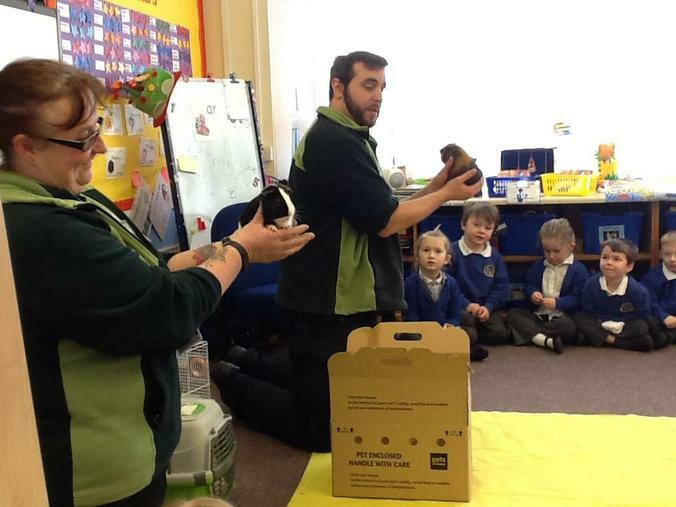 On Tuesday this week, Adam and Dawn from Pets At Home in Lincoln came to talk to us about some other things that grow...animals! 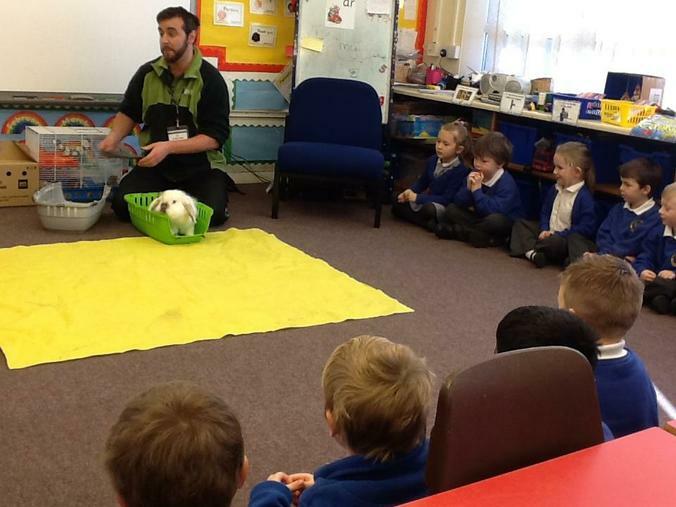 They brought in Monty the Lionhead cross rabbit who was so fluffy! 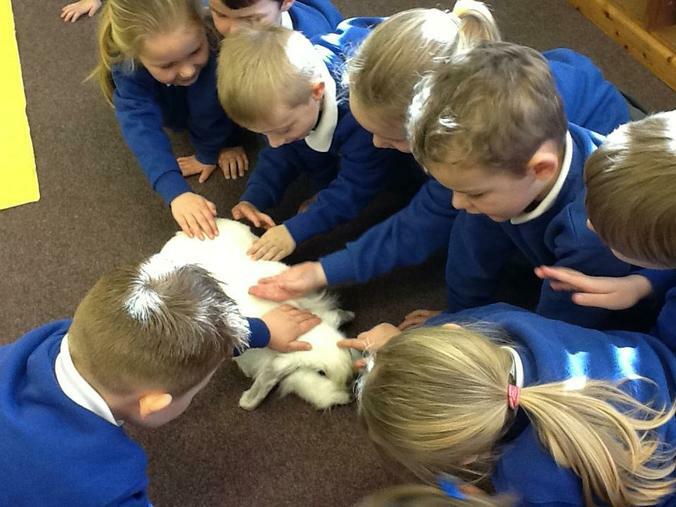 We loved stroking him. 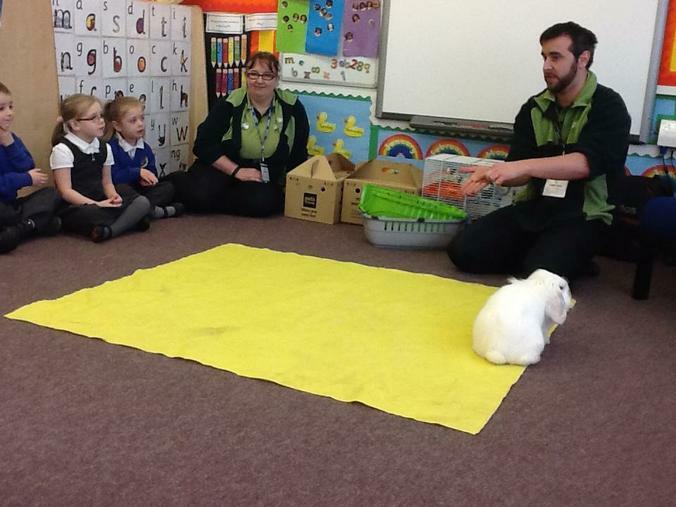 We learnt that carrots are like sweets to rabbits so they shouldn't have too many of those, they actually prefer grass, hay and cabbage. 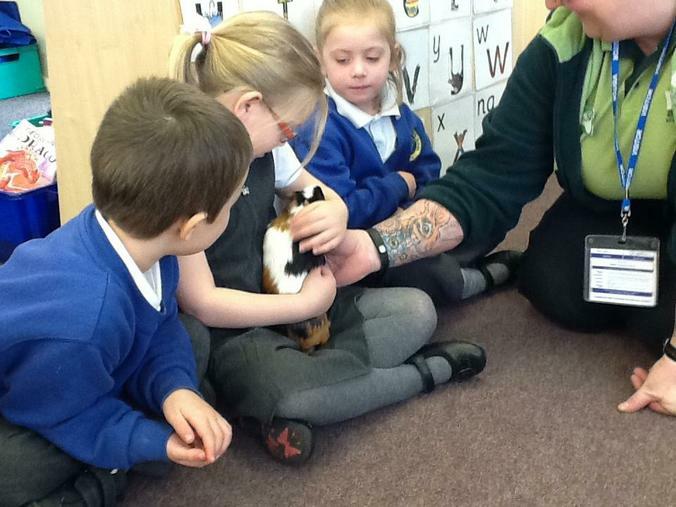 Lettuce actually upsets their tummies! 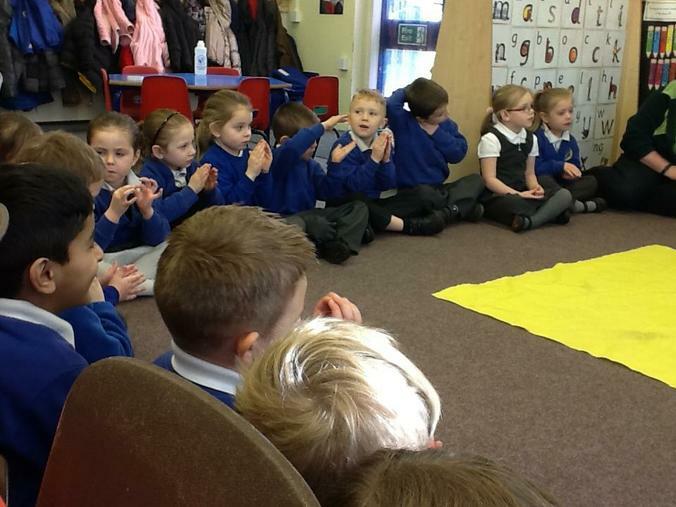 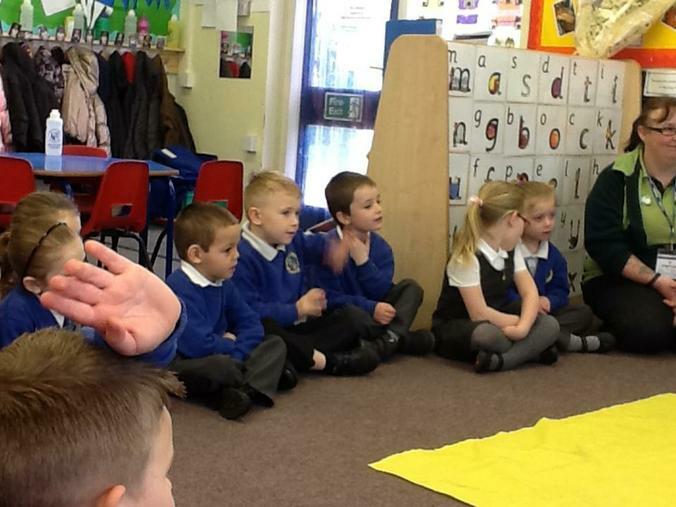 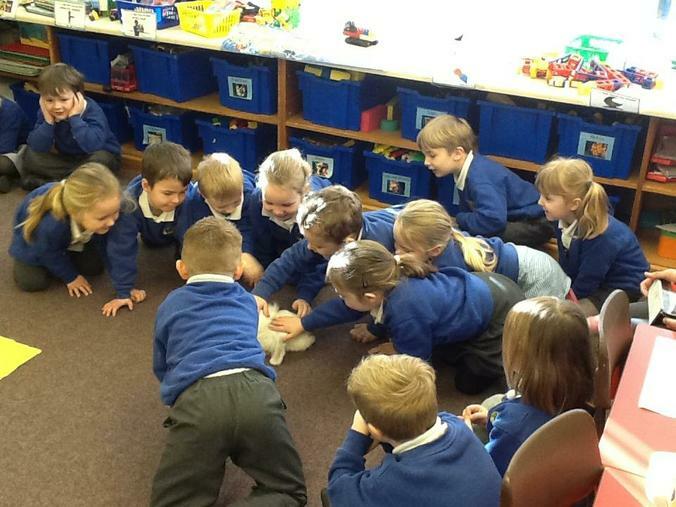 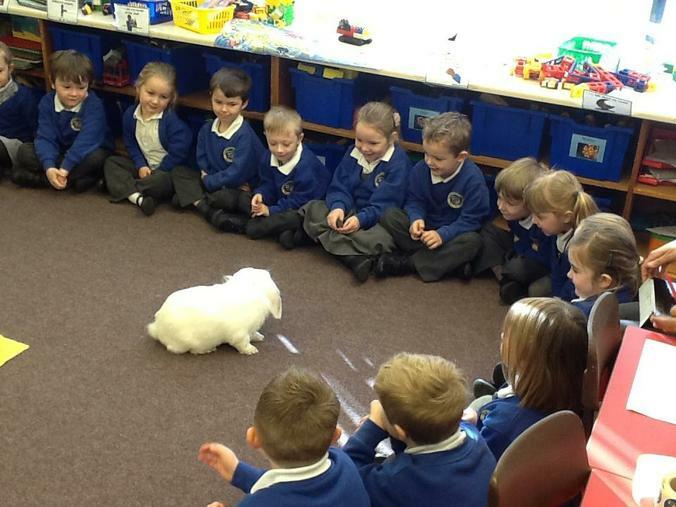 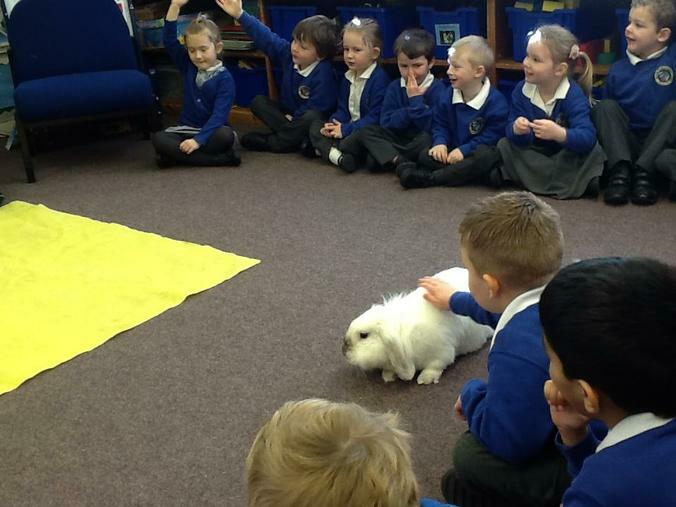 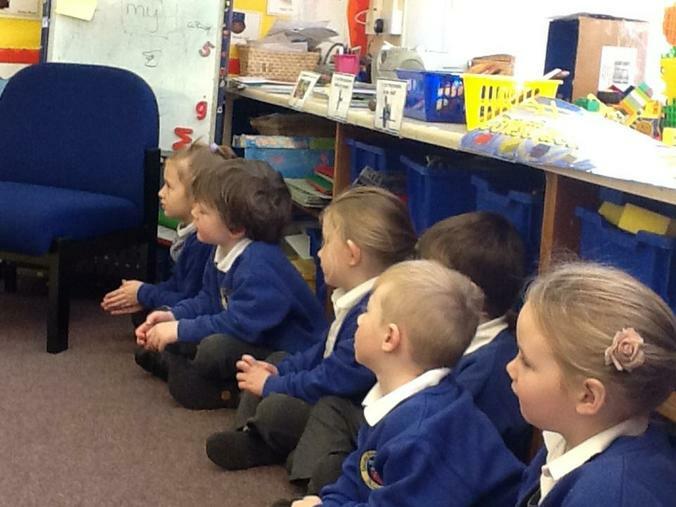 We also learnt theat they grunt when they are happy, nod to say hello, thump thier feet when they are scared and do a "binky" if they are really happy. 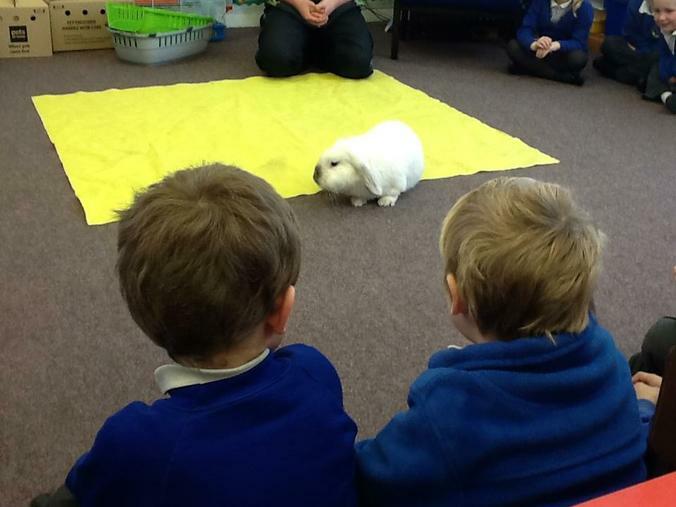 A binky is when they jump in the air and do a sort of star jump. 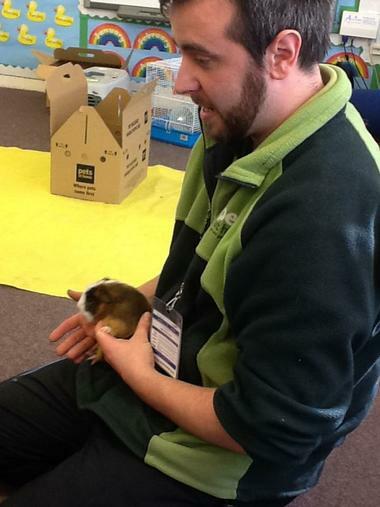 We also met NOODLES, the hamster, who could fill his cheek pouches with enough food to last him 3 or 4 days! 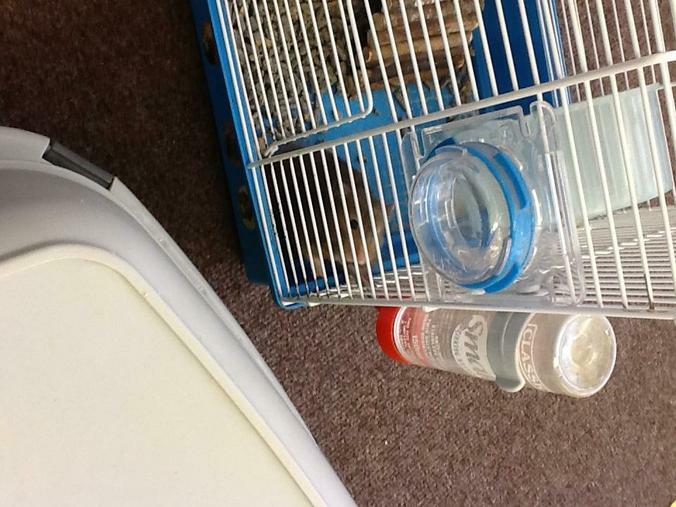 Each of his pouches are as big himself. 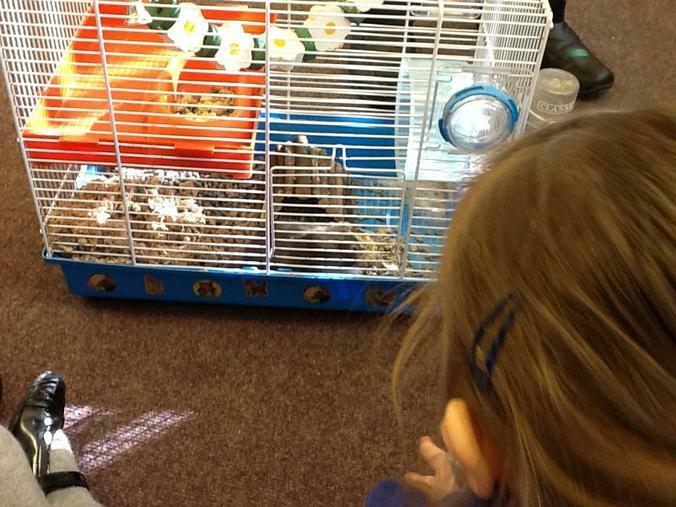 Hamsters are good climbers and have lots of fluff and fur to protect them if they fall or jump. 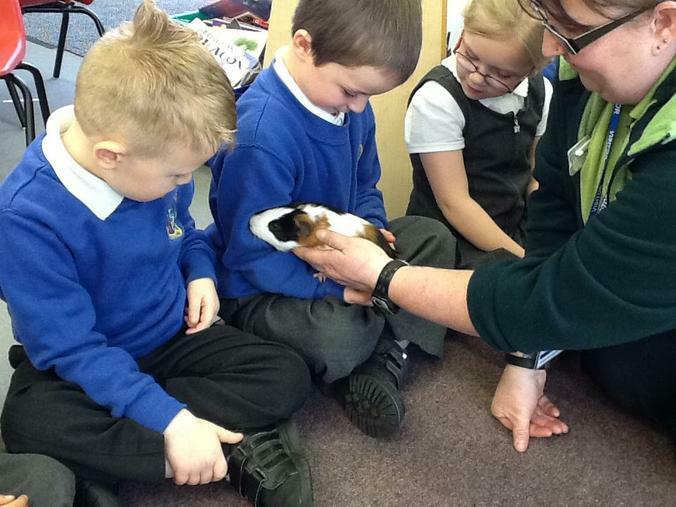 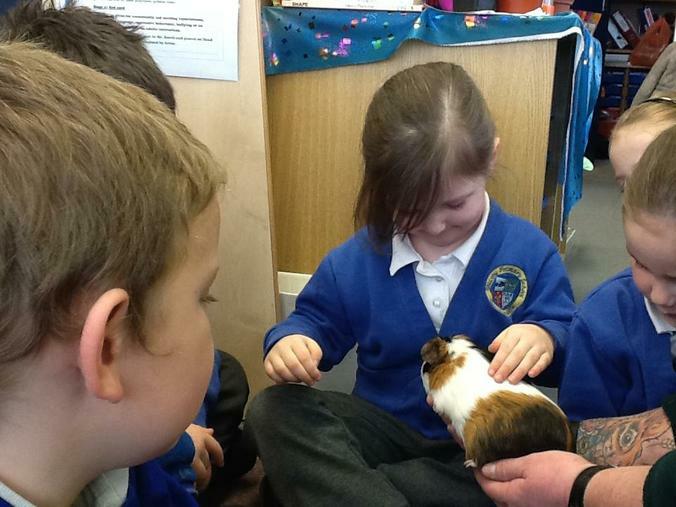 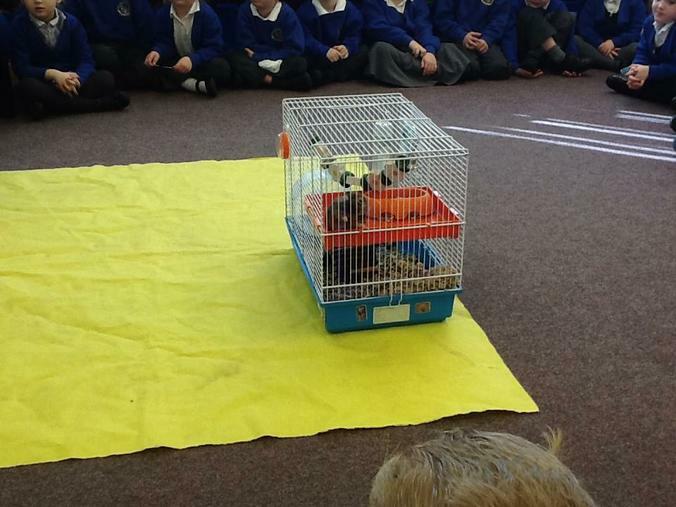 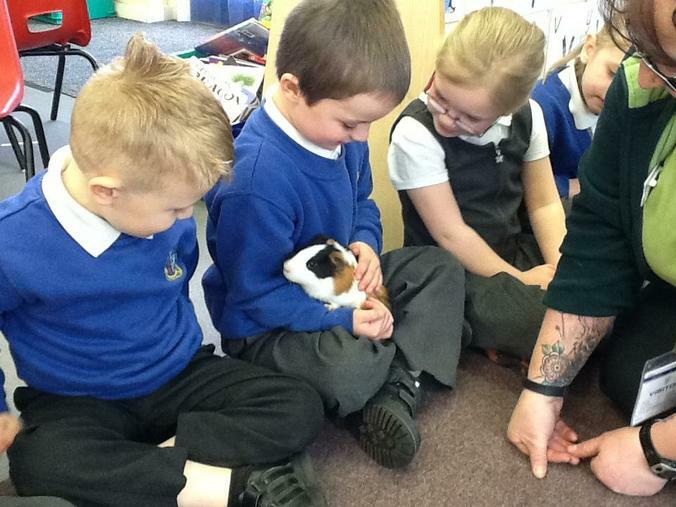 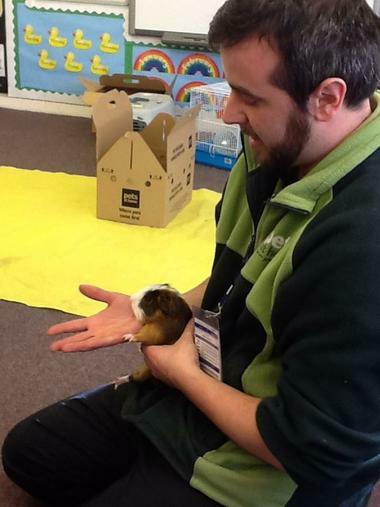 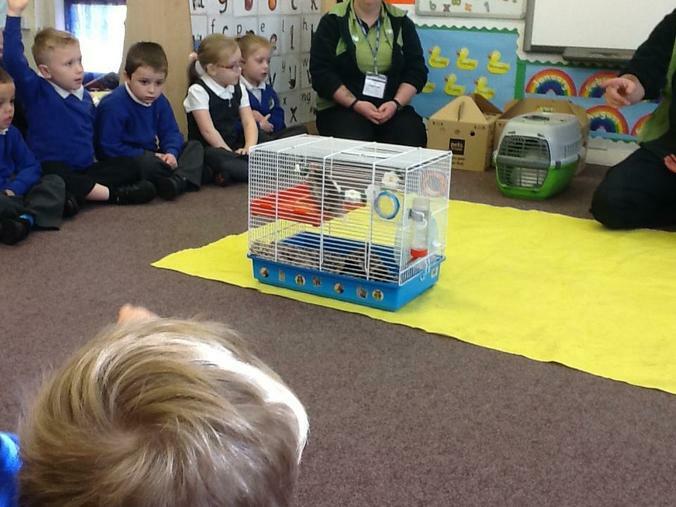 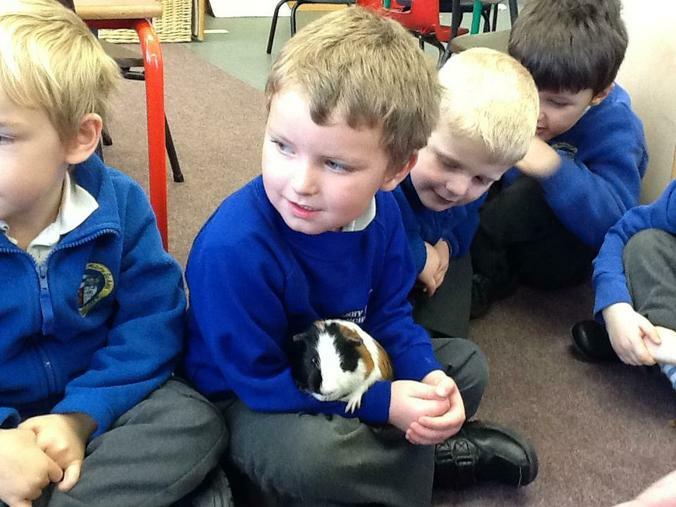 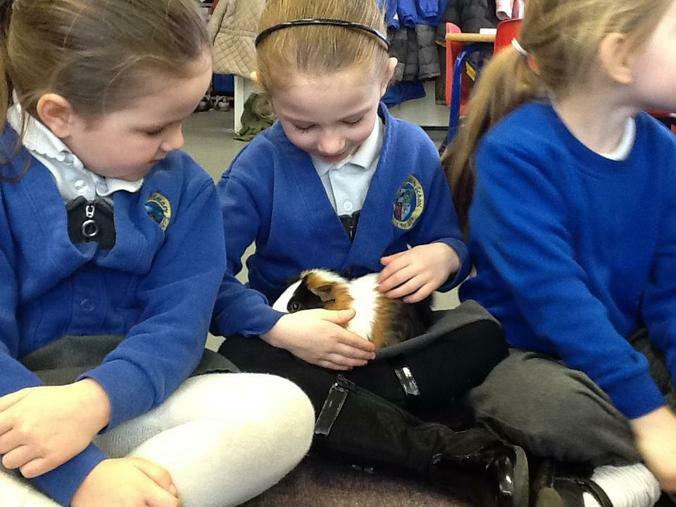 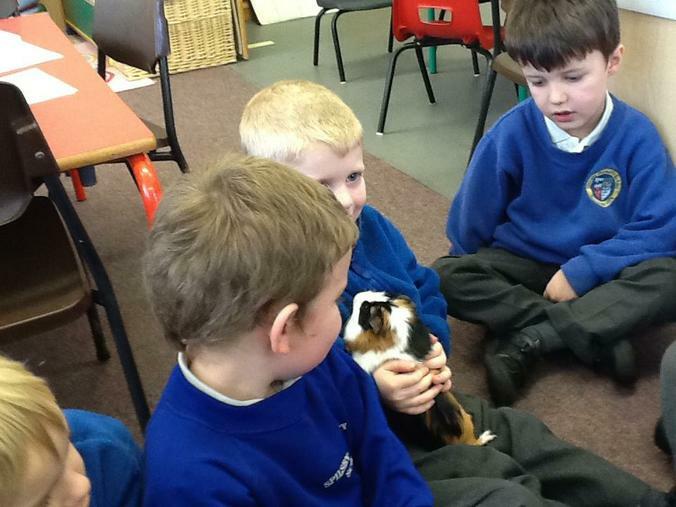 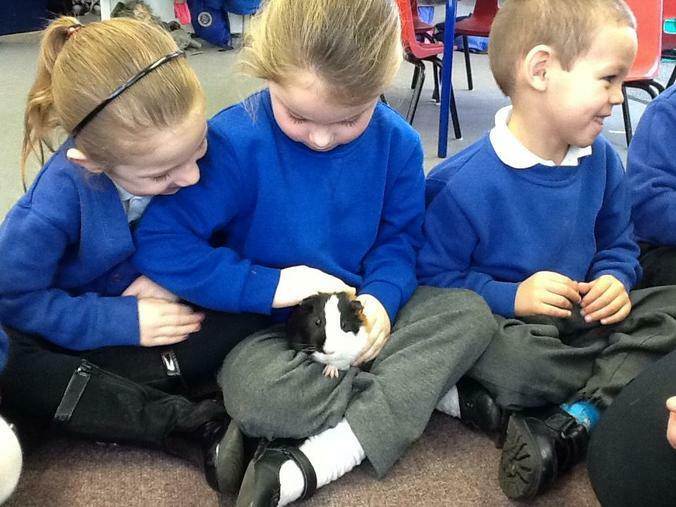 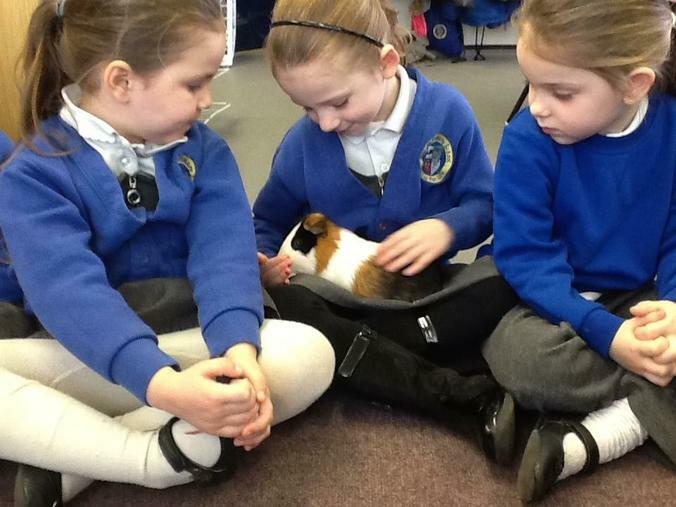 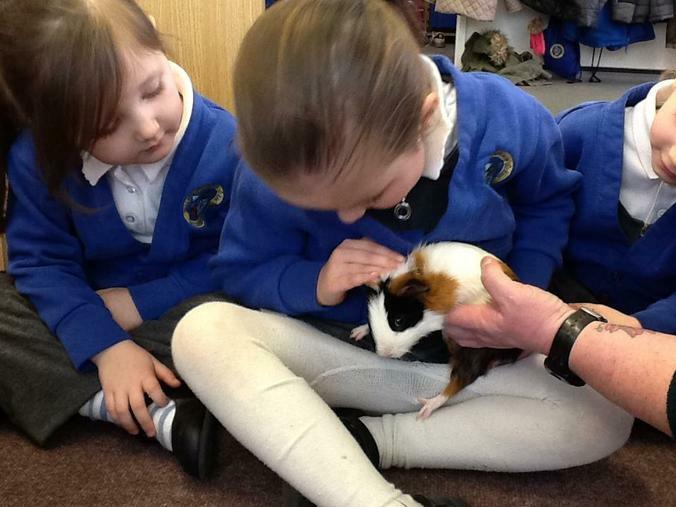 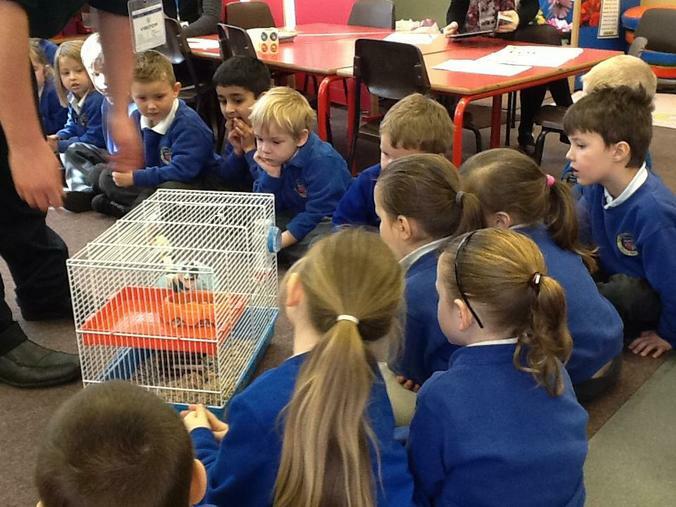 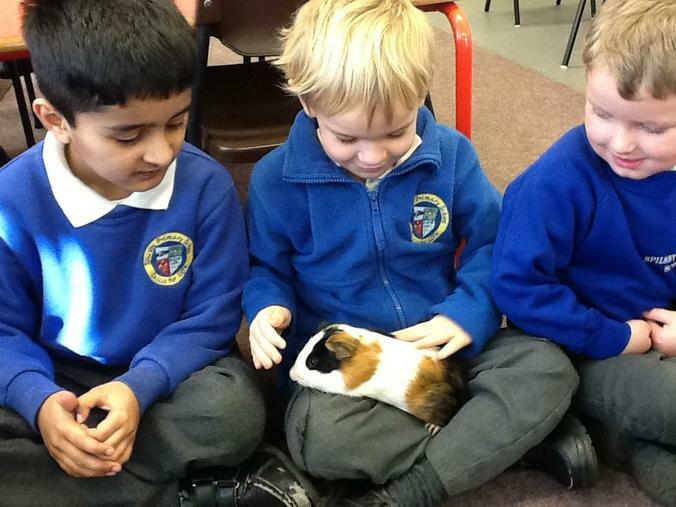 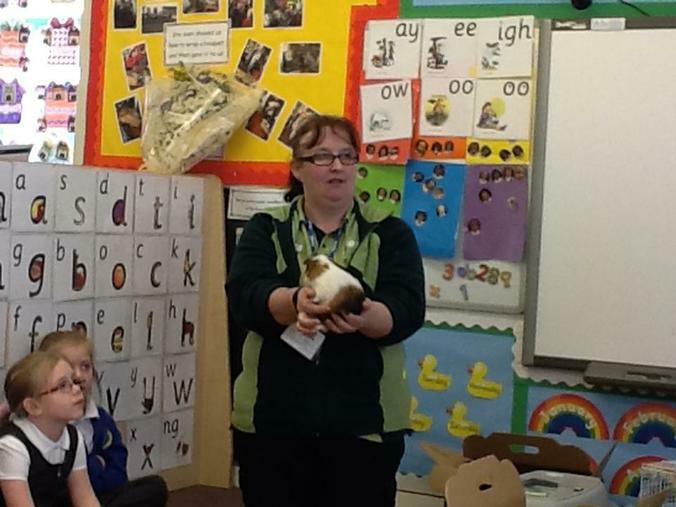 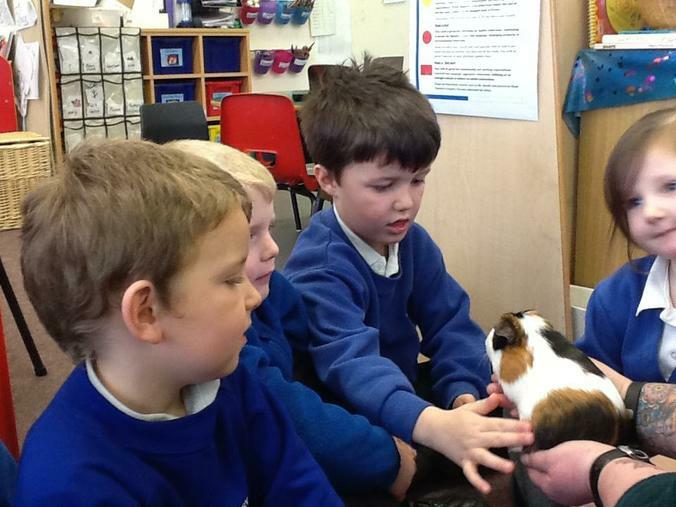 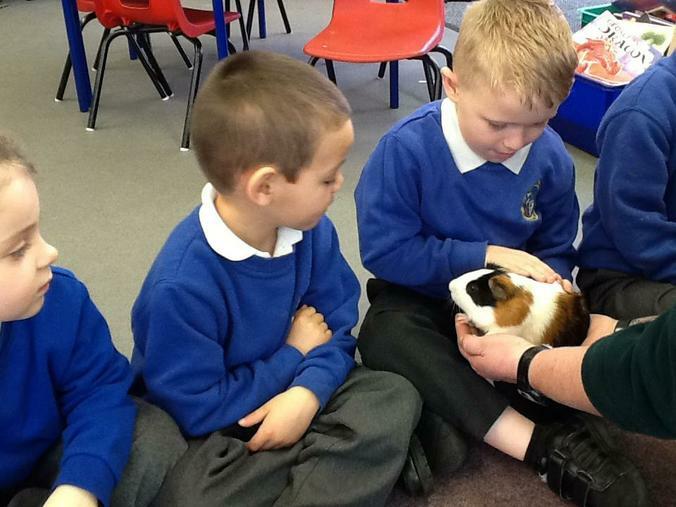 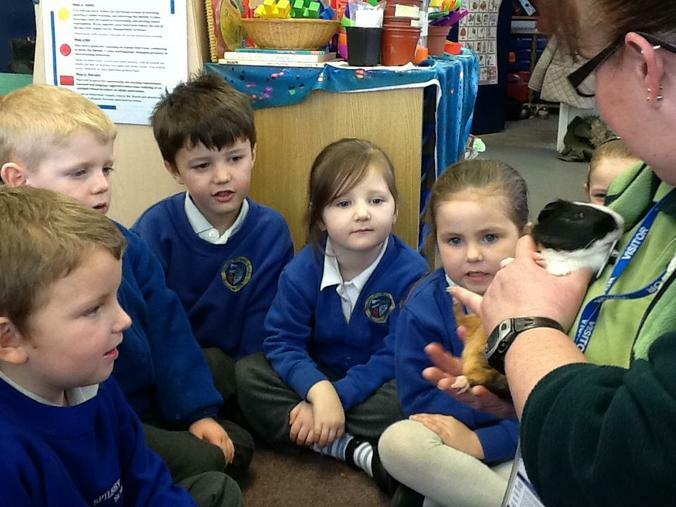 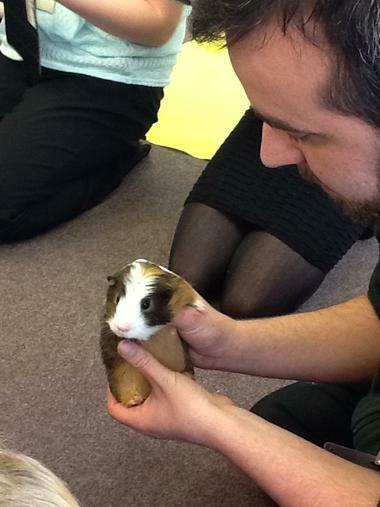 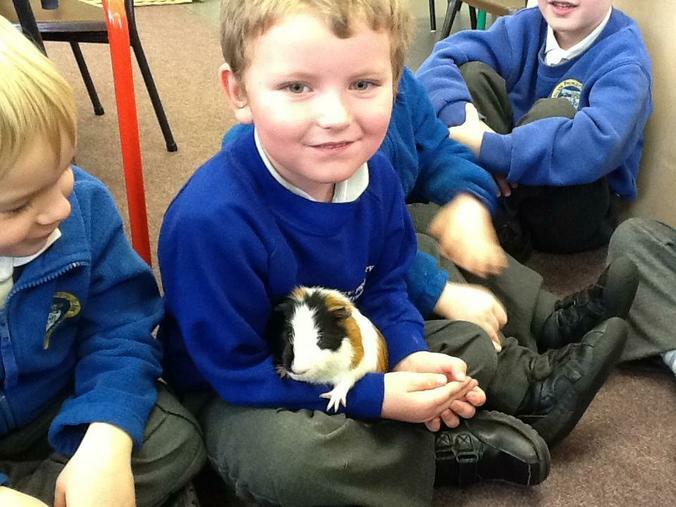 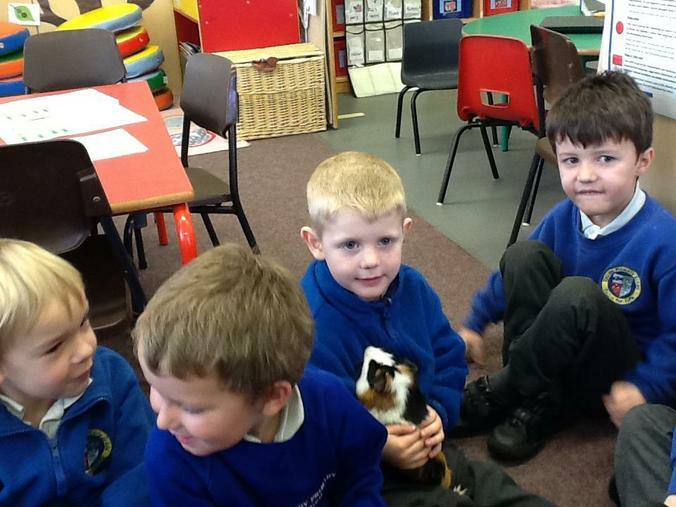 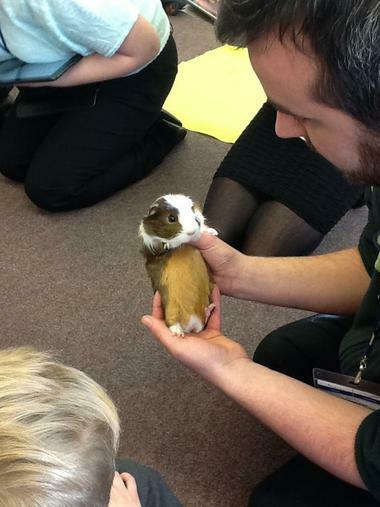 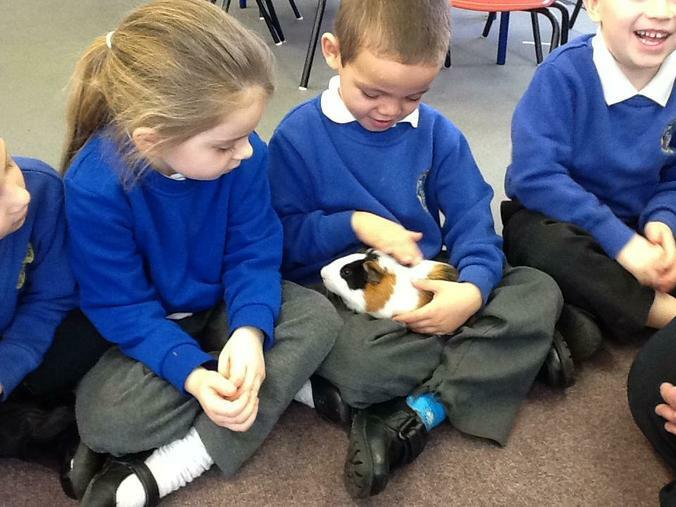 We also met two guinea pigs, who had no names, who had sharp claws which they use for digging, grabbing or climbing. 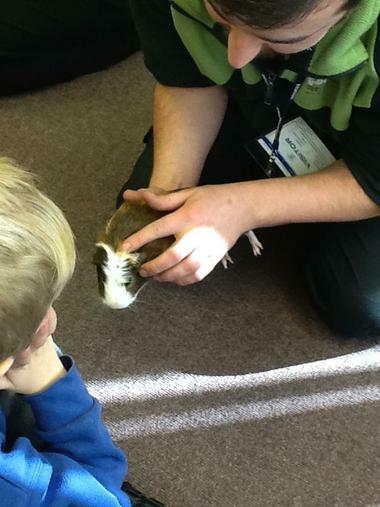 They were very furry and cool themselves down by pumping blood through their veins at the back of their ears! 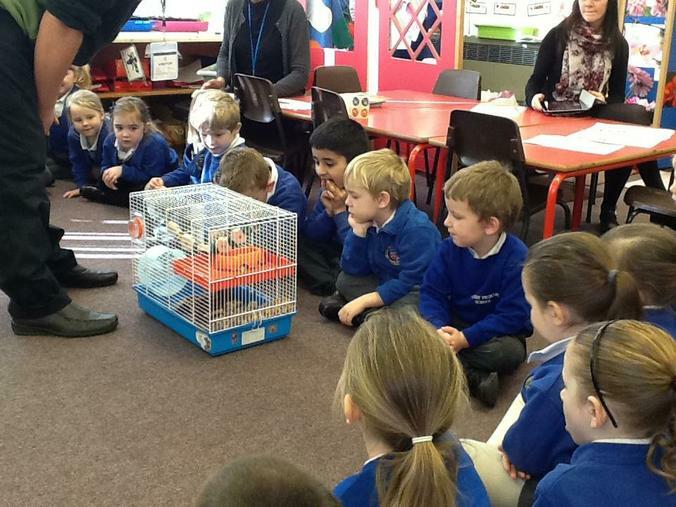 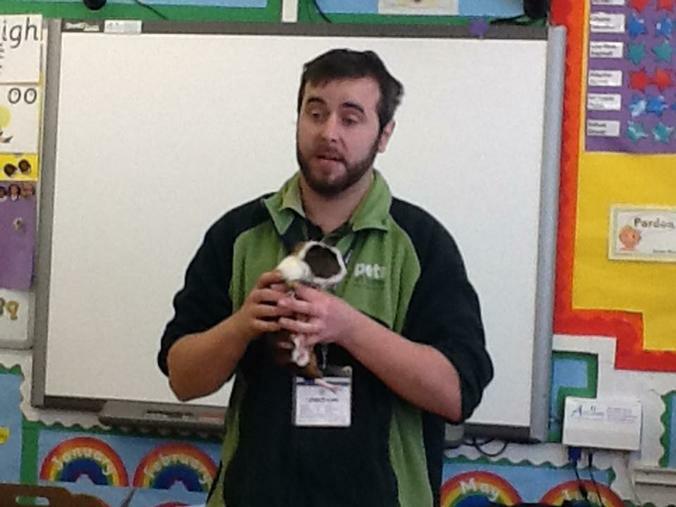 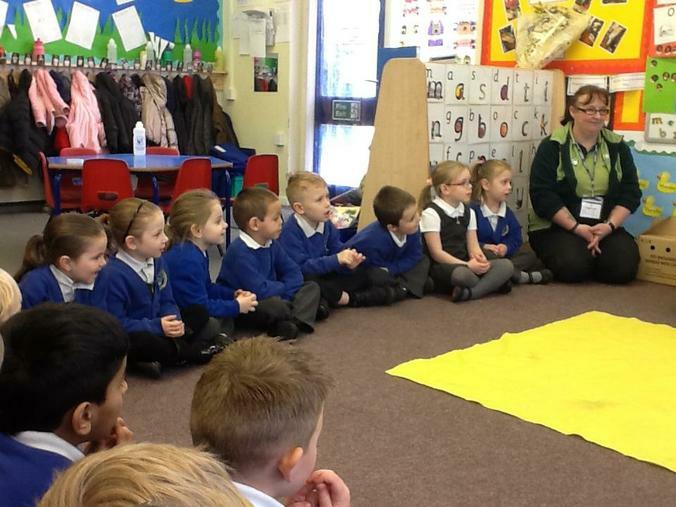 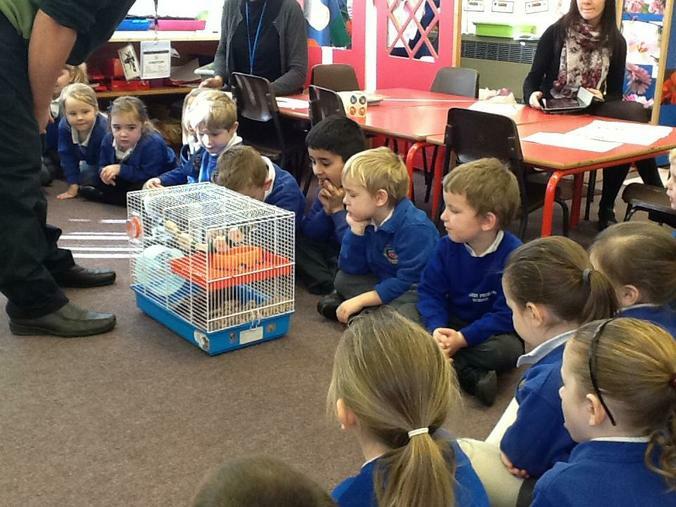 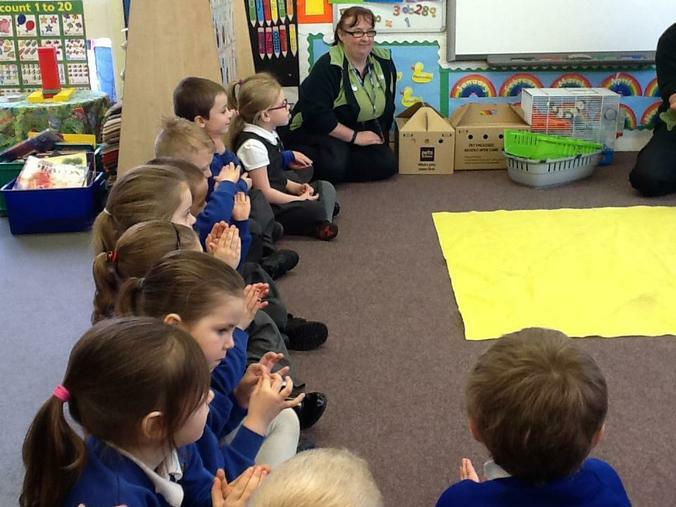 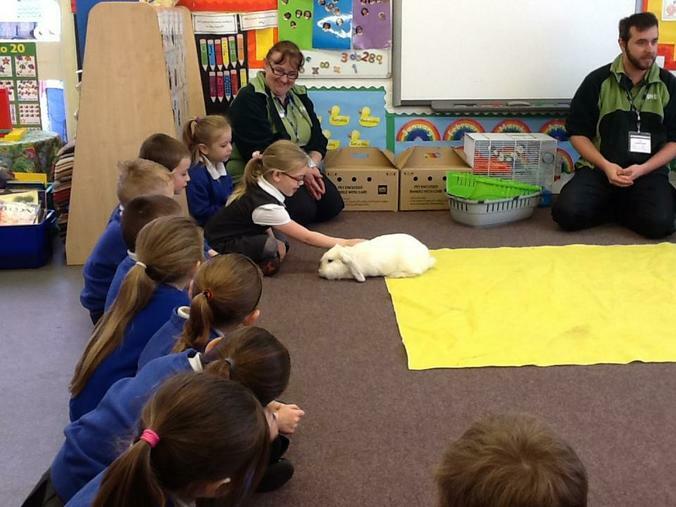 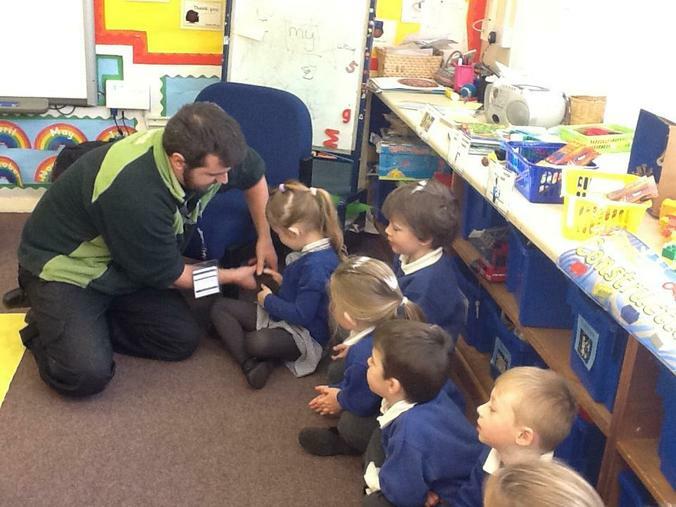 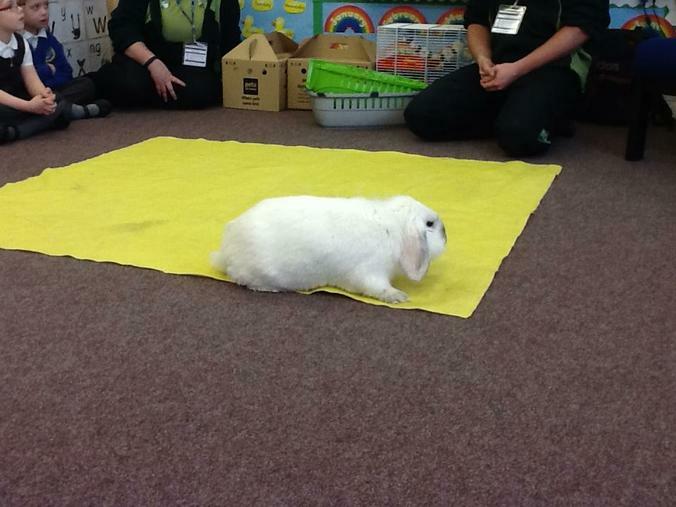 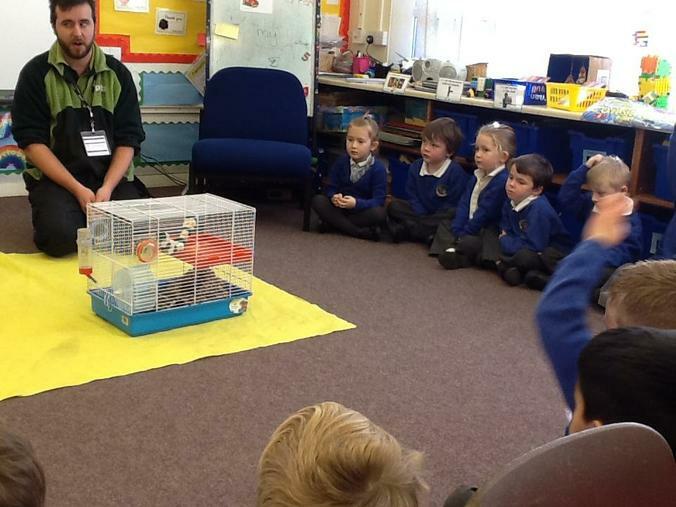 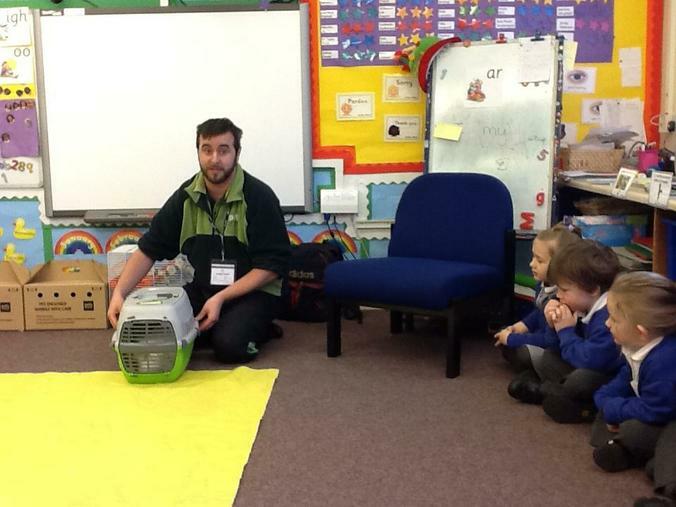 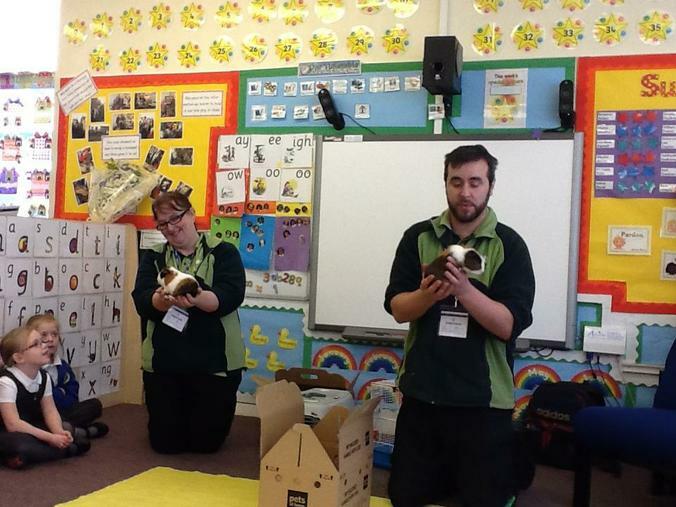 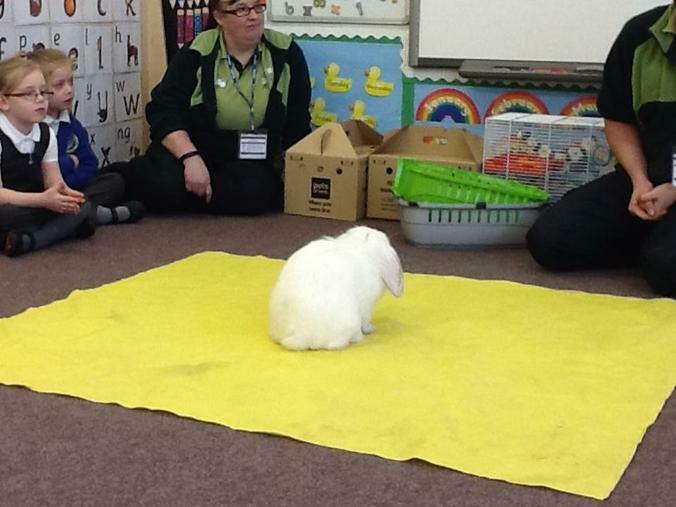 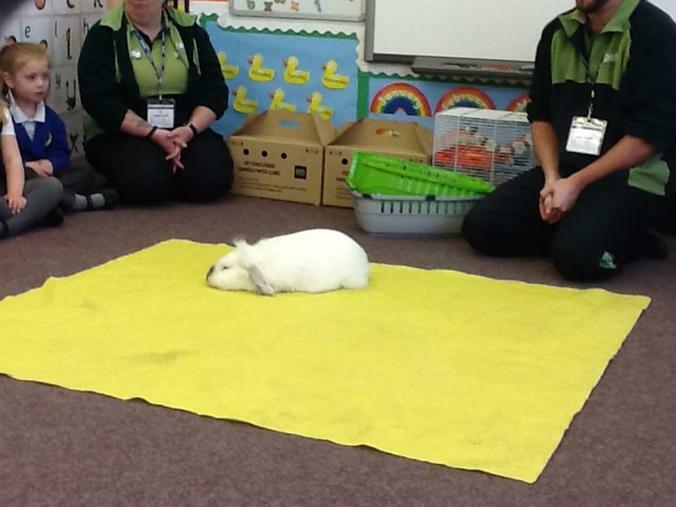 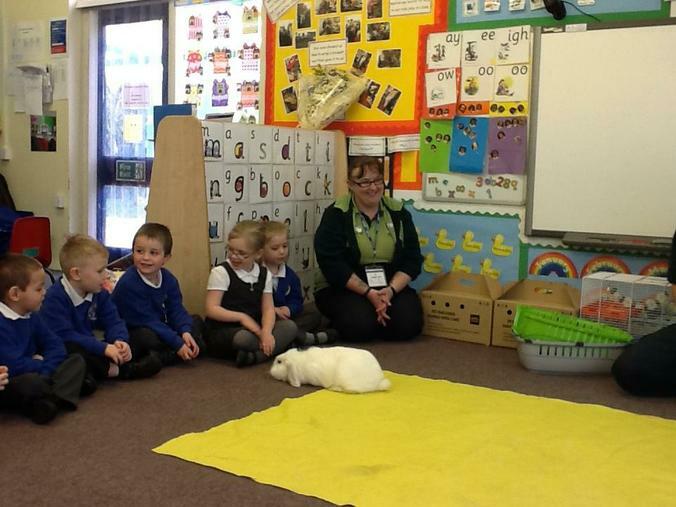 Thank you so much to Adam and Dawn from PETS AT HOME, we really enjoyed your visit and learnt so much from it!